Dr Peter Hughes is Deputy Head (Research and Innovation) of the School of Education at Royal Melbourne Institute of Technology, Melbourne, Australia. Previously he was coordinator, (and established), the Strategic Communications Program at La Trobe University in Melbourne. 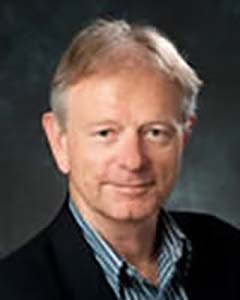 He has lengthy experience in teaching in Media Studies, Strategic Communication and Journalism, has extensive experience in postgraduate supervision and published on Media Research Methods (with a particular emphasis on Discourse Analysis), the roles of digital communications in contemporary society, and documentary film and television. From 2003 to 2006 he was one of a team of three researchers undertaking research for the Bushfires Cooperative Research Centre on the Media and Bushfires. This work produced four research reports, several journal articles and several book chapters. More recently he has been undertaking research on the roles of social networking technologies (such as Facebook, Twitter, blogging) in Emergency Communications.